Move over Alexa, because Google Assistant is getting smarter — which makes Google Home powered smart homes smarter, too. 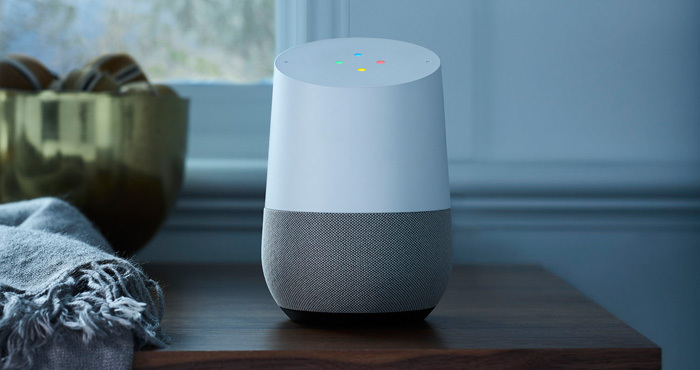 While Google has been trying to jump into the smart home market with Google Home, a voice-controlled smart speaker that can control a range of smart home devices, the limited abilities of Google Assistant have hobbled the device. And while Google has floundered, Amazon has stepped it up, constantly adding features to its Echo smart speakers: most recently voice and video calling. But now Google Home is getting voice calling too — and in a way that most users will probably find more useful than Echo's offering. For Google fans and Android users who have been waiting for a smart assistant that works with their gadgets, Google Home is finally a decent alternative to the Amazon Echo. Let's take a look at all of Home's new features. While Alexa can make hands-free voice and video calls to other Amazon users (who have an Echo or use the Amazon app), Google Assistant can make hands-free voice calls to phone numbers. That's handy if you want to call anyone who doesn't have their own Amazon Echo. Whoever you're calling will even see the call coming from your phone number, making Google Home's calling features a lot more like using a phone — only without the need to have a landline and pay a monthly phone bill. Google Assistant's voice recognition is even smart enough to tell who's talking to it. If you say "call Mom" it will call your mother, but if your spouse says "call Mom," it will call their mother. It's a convenience that you don't have to think about to use — which are the best kind. This feature is coming soon to the US and Canada — look for it in the next few months. With most digital assistants, you ask for something and they provide it. (Or they tell you they didn't understand what you said, leaving you to repeat your question in frustration.) Google Home will be the first to push important notifications to you, aiming to provide the information you need before you ask for it. When Home has something to tell you, its light ring will start spinning. Just ask it "OK Google, what's up?" and it may remind you of an upcoming appointment or tell you traffic is bad so you should leave for work early. It's designed only to give you the most important notifications, meaning it won't spam you with interruptions — but that also means its feature set is fairly limited. However, it's the first voice assistant to offer notifications like this, and if the system is useful, we could see it expand in the future. It's true: until now you couldn't control your calendar or reminders using Google Assistant. This felt like a tremendous oversight for a voice assistant, and we're glad to see Google is finally catching up with the competition here. You can now control Netflix with voice commands, and lots of other apps, too, including Spotify's free service, Soundcloud, HBO Now, and more. It still doesn't have the breath of apps Amazon's Alexa can use, which include calling an Uber, but more apps are coming. More smart home integration is coming too, with over 70 smart device makers now partnered with Google. While Google Home devices don't have a screen Amazon's newly announced Echo Show, they'll soon be able to display information on your TV via your Chromecast as well as select smart TVs. Ask Google Home to play videos from YouTube or bring up your calendar, and it will pop up on your television. This feature will be coming later this year. If you don't care for the iPhone's built-in voice controls from Siri or Amazon's Alexa, you can use Google Assistant. All of the same voice control features you'll find on Google Home will be available through the free Google Assistant app. While Siri and Apple’s HomeKit will offer better Apple integration, Google Home works with more apps and smart home devices. The Google Home smart speaker is available now for $119.99, making it a more economical choice than Amazon's Echo ($179.99). While the Echo still boast more features, Google is making a strong push to keep up. With better app support, Google Home is a great choice for Android users and Google fans who want to control their smart home from a single device.